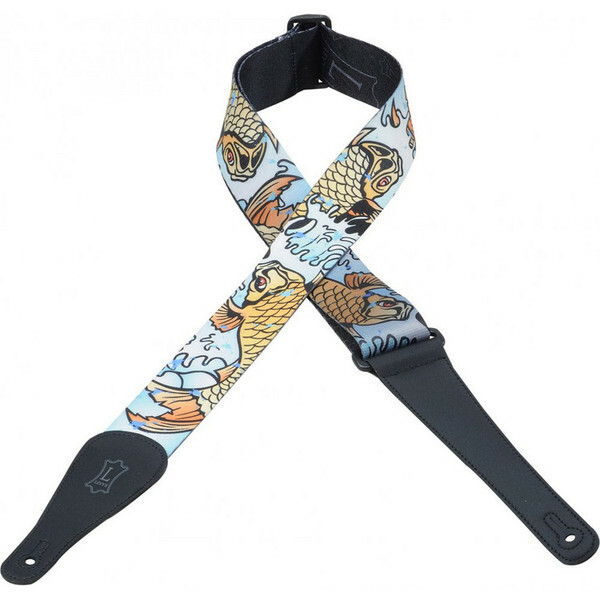 Levy's sublimation-printed designer guitar straps feature original designs that defy classification. 2" polyester strap with colourful fish design. Levy's is a leading manufacturer of consumer leather and nylon goods. The company was founded in 1973 by Dennis Levy and is run by Dennis and his brother Harvey.